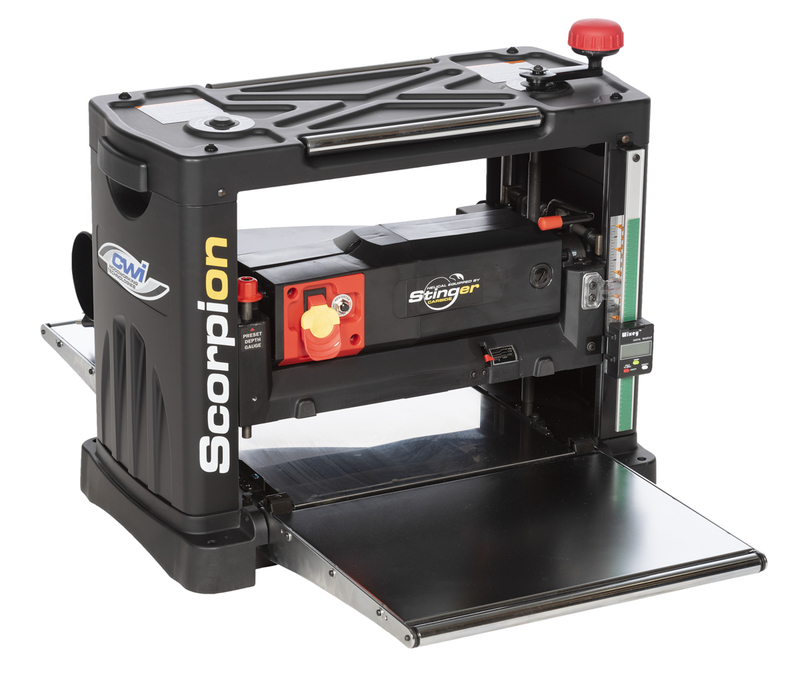 The Scorpion 13″ Portable Planer comes standard with the Stinger Carbide Helical Cutterhead making it the only true helical portable planer available in North America. 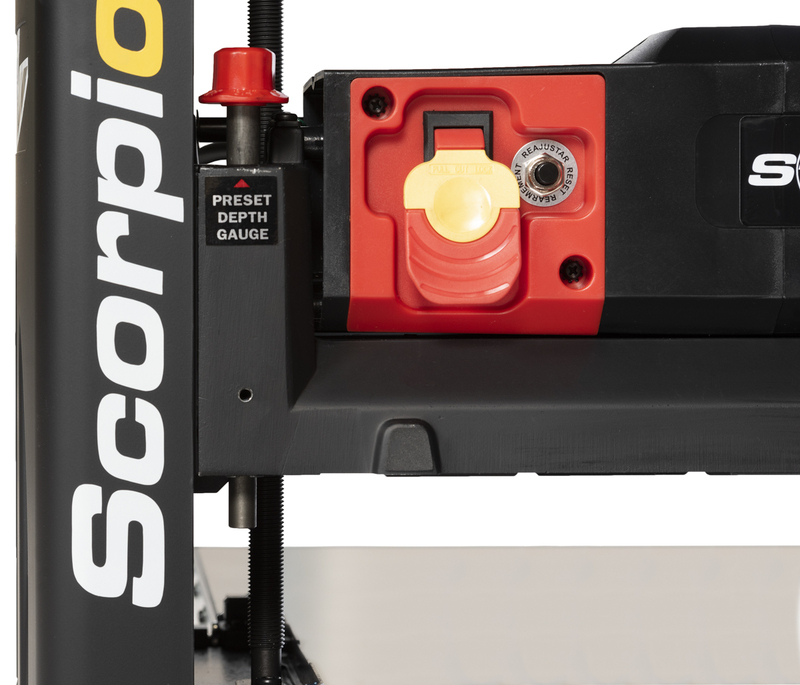 There are competitive models on the market with segmented heads but the Stinger head included on this machine is specially made for the best performance in a portable planer anywhere. It features 40 carbide 15mm x 15mm x 2.5mm 4-sided knives, each with 4 curved sharp edges to help slice through the wood better than a straight edge knife. 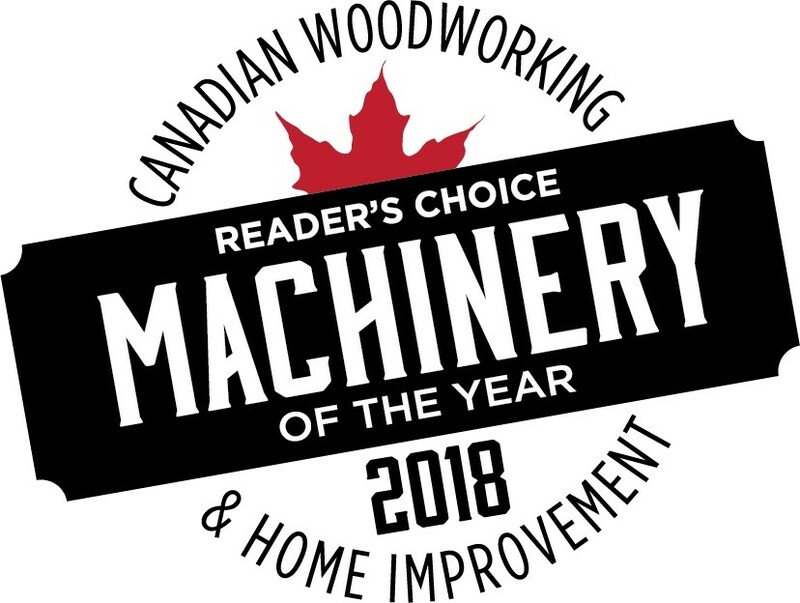 Each knife is then set on a small angle to enhance the shear cut which then allows the head to slice through almost any type of wood with virtually zero tear out. 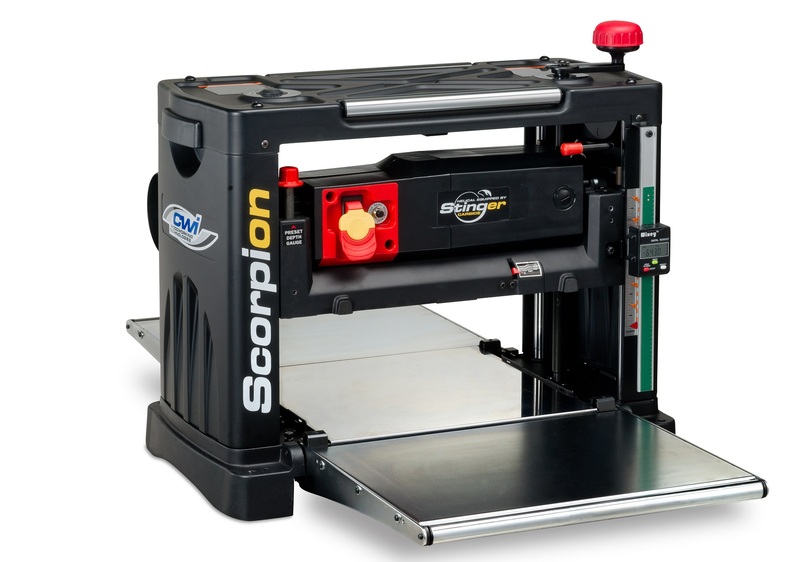 The four rows of carbide knives are powered by a strong 15 amp 115 volt motor spinning at 10,000 rpm producing more knife cuts per inch to give the finest finish available today. Sound levels are the lowest in the industry and maintenance is a dream to always keep a sharp edge and beautiful cut. 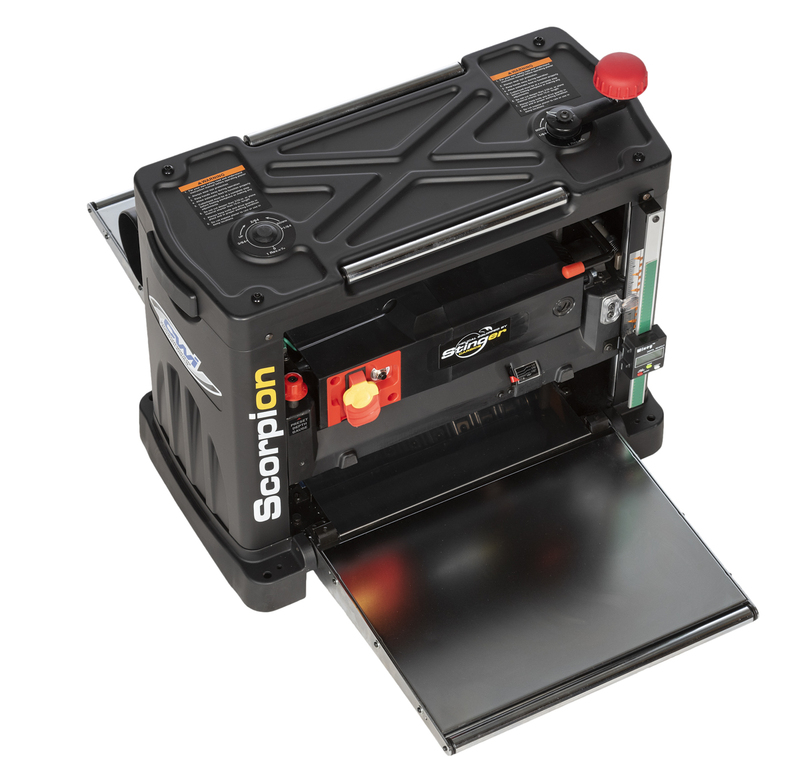 The Scorpion CWI-P13HC is loaded with many standard features normally only available as optional accessories. 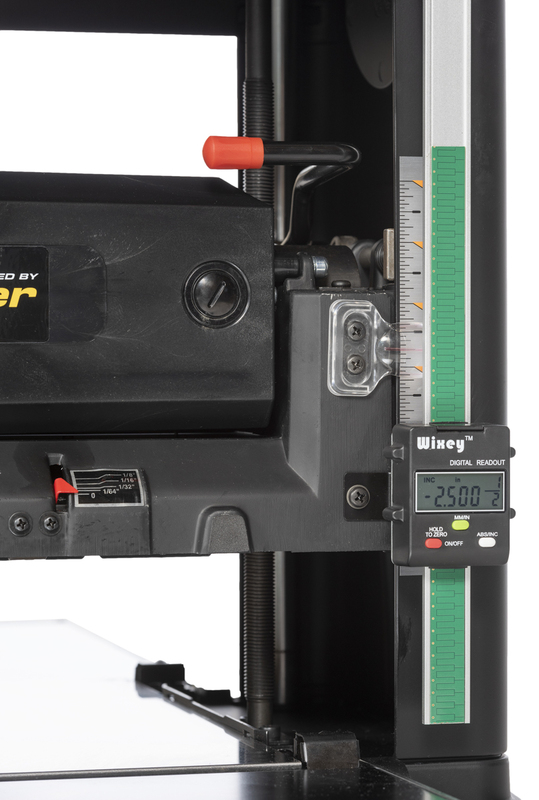 For extra precision is an included Wixey electronic digital height read out for quick and accurate height settings. There are also two adjustable 12” extension tables to help with feeding longer materials and reduction of board snipe. 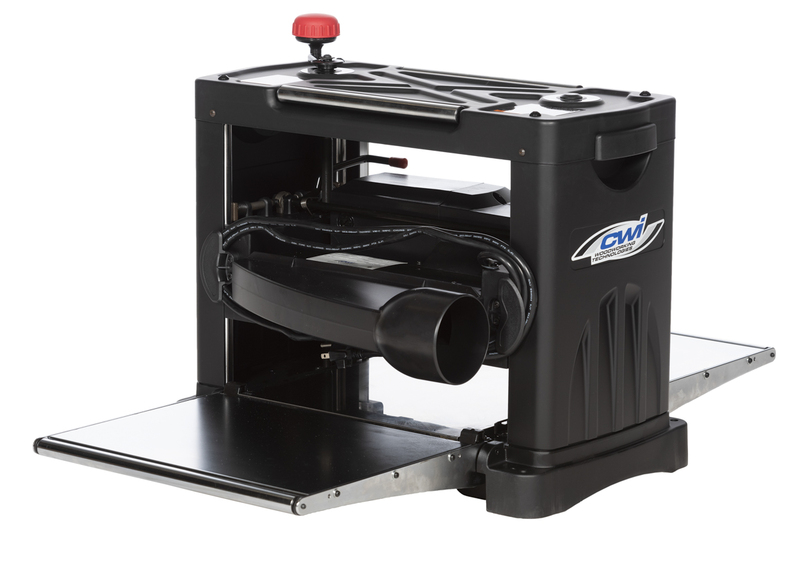 A 4” dust collection hood is also standard. Other great features are return rollers on top of the machine for rolling lumber back and forth while planning, an Anti-Snipe cutter head lock to further reduce board snipe, a height adjustment hand wheel which can be used on either right or left side of the machine which allows height adjustments in 1/64” increments, a gauge on the front of the motor housing which indicates the depth of cut being taken and a depth stop with pre-sets (1/8″, 3/8″, 1/2″, 3/4″, 1″ & 1 1/4″) for finished board thickness.